Its name comes from the turtle nesting on the beaches, the green, leatherback and Carey turtles come every year to this zone. This small community of Tortuguero is located on one of the islands or islets between the sea or gaps, located in north-eastern of Costa Rica, in the province of Limón about 254 kilometers from San Jose, the Costa Rica capital. This area is made up of a street where no cars and where people mobilize by foot or bike, there are some bars, restaurants and souvenir shops. This Caribbean town is charming, their meals, the life style, the culture and customs of the area are beautiful; for these reasons is a mandatory destination when you visit Costa Rica. Their fascinating natural marine canals and the wide biodiversity make this one of the top destinations to visit in Costa Rica. Here, you can find many rivers, canals and lakes, these used by residents and tourists to navigate. This natural system is the habitat of turtle?s species, manatees, reptiles, and a variety of shellfish and freshwater fish, among many others. Tortuguero is one of the rainiest and humid areas of the country, between 5,000 and 6,000 mm per year fall in rainfall, with local downpours of short duration (the most common) or time up to 15 days of rainy. There is no dry season, but it rains less in February, March and October and its annual average temperature is 26 degrees Celsius. In Tortuguero you can find many activities to enjoy during your stay in this zone, you can observe and learn about the features of the Caribbean culture, as well as taking fishing, canopy, bird watching, canoe or kayak tours among many more. Tortuguero has many natural attractions that make the area one of the best places in Costa Rica to visit. 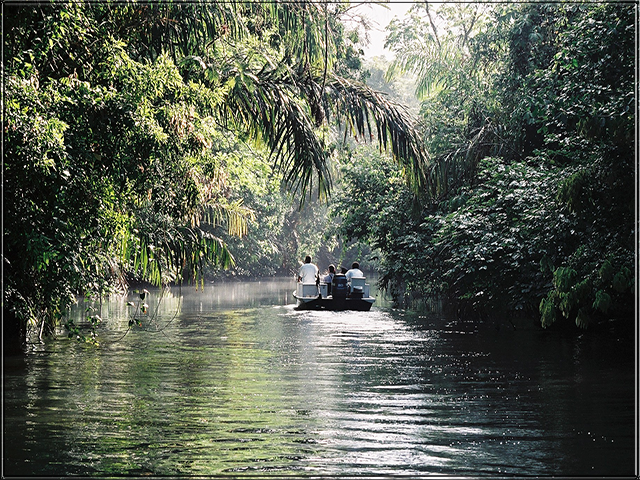 The Canals are one of the main attractions of the area, explore through the endless canals and meanders; these canals are a real natural labyrinth, surrounded by dense tropical forest and rich local fauna. Most hotels in the area offer tours in the canals, where if you are lucky you can see monkeys, sloths and birds; along with a variety of aquatic animals such as turtles, alligators and crocodiles. Here you can see sea turtles during nesting season, which is a very impressive process, it is important to take into account if you want to see this process, this must be observed under supervision, since any noise or disturbance can frighten the tortoises and make them return to the sea without completing their spawning. Tortuguero beach attracts the largest nesting population of turtles; this place is well known internationally as a tool for scientific research and environmental education; the Caribbean Conservation Corporation (CCC) conducted programs about Monitoring and Tagging the sea turtle, which has allowed a breakthrough in the study and conservation of these animals. Every year scientists and voluntaries count the turtle fingerprints in the sand, to determine the extent of the area used by turtles to nesting; and information about the life cycle and the migration routes, for example the leatherbacks is the largest and most dispersed species of sea turtles. This information also helps to protect the area from nesting of hunters and illegal egg collectors. The Tortuguero National Park is the main attraction of the area with its 31.187 terrestrial acres and its 52,000 acres of sea, where is protected an important part of the very humid tropical forest located in the northeaster of Costa Rica, as well as an abundant flora and fauna, including some species in danger of extinction. In Tortuguero National Park there are more than 400 species of trees and approximately 2,200 species of plants, thanks to the variety of environments present, you can see the typical caribbean coastal vegetation like the Icaco, the Sea Grape and it is also common to find Coconut Palm. Behind the coastal strip the forest grows on flooded or swampy ground, here we can find variety of trees; in places with deeper water is common to see floating vegetation mainly the water lilies and the aquatic ferns, and in higher areas grows the majestic very humid tropical forest, where the average annual rainfall is around 5,000 mm, this makes possessor of an extraordinary diversity of flora; there is a wide variety of endangered mammals such as jaguars, ocelots, tapirs, manatees, tolomuco, sloth and three species of monkeys. In addition, there are 405 species of birds, a very important part of the entire population of Costa Rica; also a great diversity of reptiles and amphibians. One of the main attractions of the park is the nesting sea turtles. The four species that breed in this Caribbean Sea and come to nest on the beaches of Tortuguero are: the leatherback giant, green turtle, loggerhead brown and the hawksbill turtle, which is smaller and is considered in endangered by the value of its shell, used in crafts; it is also very common to see the black turtle during the journey on the canals of Tortuguero. The park schedule is from 5:30 a.m. to 6:00 pm (Cuatro Esquinas entrance, next to the Tortuguero down town). You can purchase tickets for admission to the Park in Jalova and Cuatro Esquinas posts. Nesting leatherback turtles are between March and June. 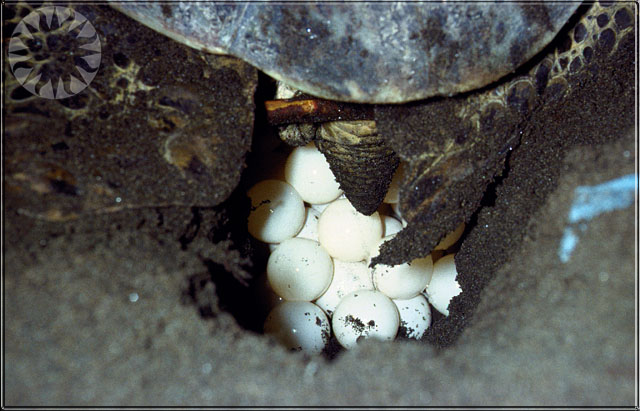 Nesting Green turtles are between July to October. It is important to note that, to enter the beach, you must be accompanied by an authorized local guide. You can cross the land and the canals by trails located at the two entrances to the Park. You can also can navigate by boat throughout the canals of the Park, this can be done in the sunrises or at the sunset. You can see many birds and bats in this park. In addition, you can feed the manatees, under supervision. There is also a landing strip for small aircraft. Include this area in your itinerary during your stay in Costa Rica, take a few days and visit Tortuguero; INTERBUS will help you with the transportation services from and to the main tourist destinations in Costa Rica, in the case of Tortuguero they will help you with your operator in Tortuguero to reach their destination; you can combine the area of Tortuguero with La Fortuna or Puerto Viejo de Limón & Cahuita and visit these beautiful areas without having to worry about driving through unknown areas. Our system in combination with your operator in Tortuguero, where we make a connection, the Tortuguero operator offer the water transportation and Interbus offer the land transportation, then you will be taken to your destination; this connection is in some restaurant in Guápiles, this restaurant is previously chosen by your operator in Tortuguero. If you want to book this shuttle service, please enter the following link Interbus Costa Rica. If you are in any other area in Costa Rica, you can take a domestic flight to travel to Tortuguero or can coordinate it with your Tortuguero operator.